Chinese Taipei and Indonesia emerged as the big winners of this 11th edition of the French Open Superseries, claiming two titles each, leaving India capturing the men’s singles with an amazing Srikanth Kidambi, while Lee Yang and Lee Jhe Huei seized their first ever Superseries titles against veterans Mathias Boe and Carsten Mogensen. 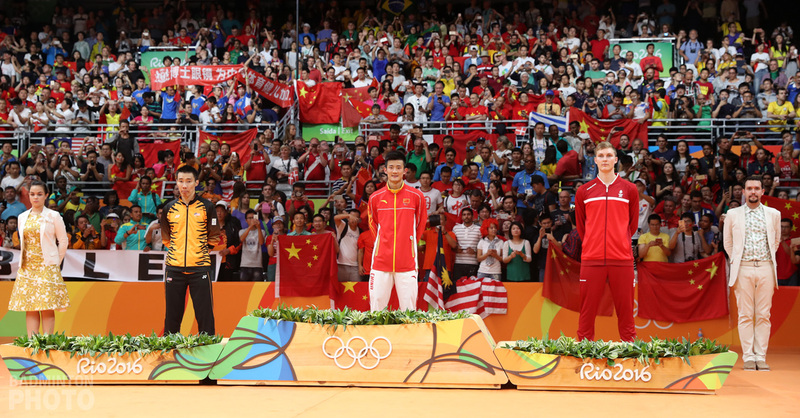 What a historic day for Chinese Taipei team! They were involved in two wins among the finals in the Parisian city, a first for the country, disclosing a powerful message for the upcoming team championships, that they will again be ready to take on the traditional badminton powerhouses. First, the queen of the year so far, Tai Tzu Ying (photo), came back from a minor right shoulder injury to sweep the title with insolent ease, and completely dismantled Japan’s Akane Yamaguchi, world number five, in a one-way final. 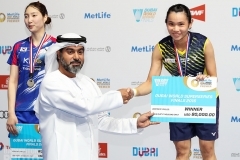 In what was probably her best performance of the year, the Taiwanese player threw all her repertoire of shots, looking nothing but invincible in her final encounter. “Yamaguchi made several mistakes in the first game, so for me it was a simple game, as I really wanted to give my best,” commented Tai after her match. Yamaguchi blamed her lack of concentration in this crucial meeting: “Tai Tzu Ying is a really strong player and played really well. I couldn’t keep my concentration on; thus it made me lose confidence throughout the game,” analysed the top Japanese player. She indeed conceded the match 4-21, 16-21, in only half an hour against a ready to take-it-all Tai Tzu Ying. 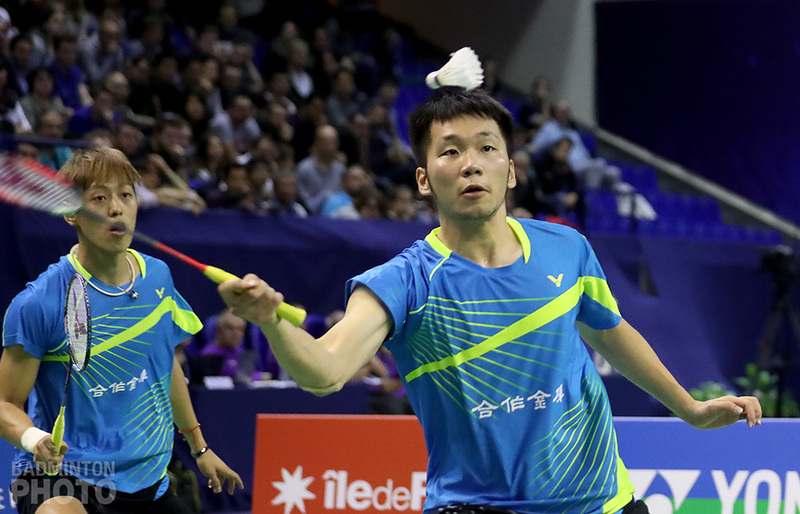 Later on, it was the turn of men’s doubles turn to create the upset of the day: Lee Yang and Lee Jhe Huei (photo) finally found the loophole to secure a Superseries title after a super performance against the highly decorated Danes Mathias Boe and Cartsen Mogensen. Impressive in speed and court awareness, they both managed to bring that little something which made the difference against the abundantly experienced opponents that are the Danish pair. “We had plenty of discussions with our coach last night about how to prepare for this match. 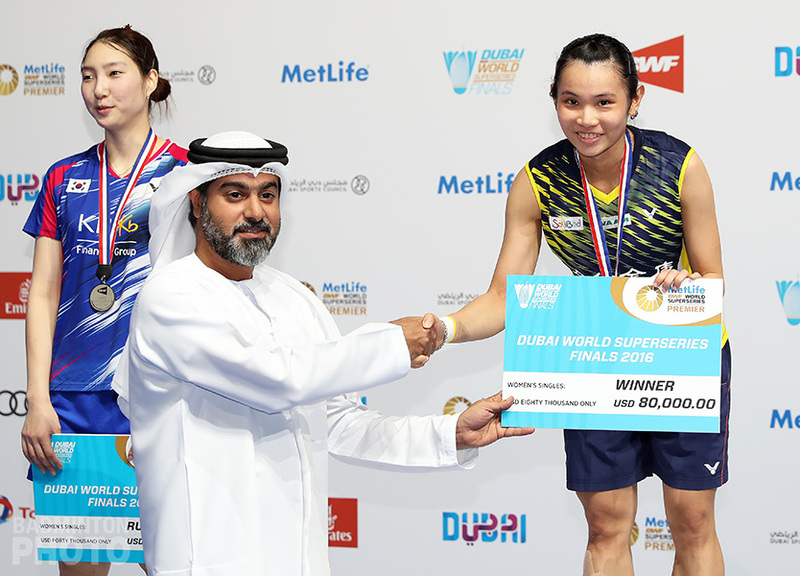 We also encourage ourselves constantly, point by point, because we really wanted to win this match,” added both Lees in complete delight over their first Superseries title. 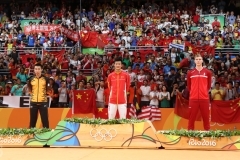 The pair shortly took the edge in both games 21-19, 23-21, opening on a prosperous road for the two friends. 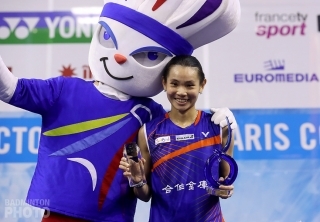 Indonesia also showed the extent of their power with two titles in the Pierre de Coubertin Stadium earlier on Sunday, with first their newly formed pair of Greysia Polii and Apriyani Rahayu, (photo). Rahayu only joined the national team at the beginning of the year and might not be leaving anytime soon. The pair showed some astonishing game against the in-form Koreans Lee So Hee and Shin Seung Chan, who had yet to lose even a game in two weeks. 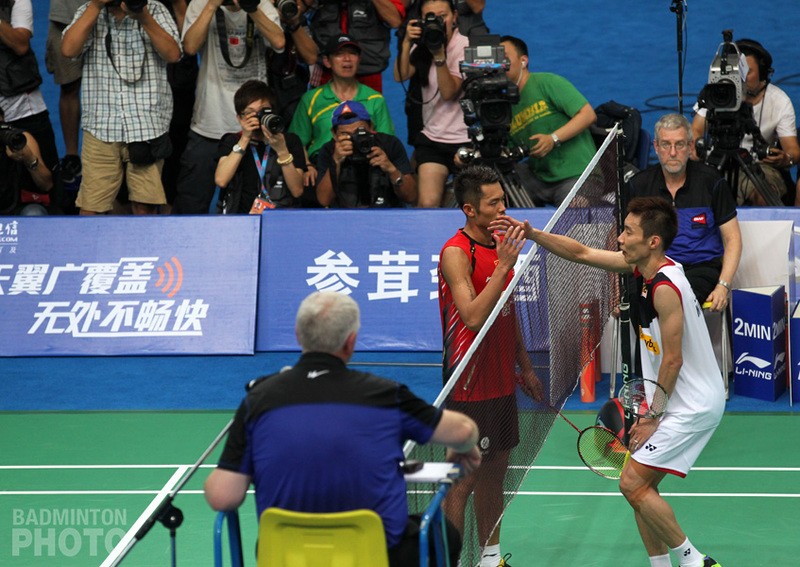 The Koreans were quickly corrected by their opponents of the day, who took the win in straight games. “I still can’t believe we won the match! You know it is very difficult for us to maintain our level and fight against the top ten pairs, and for that I can only thank my coaches and God, to keep us in the right way, and everyone who supports Indonesian women’s doubles. I am in complete delight!” commented Greysia Polii, obviously floating on a cloud of happiness for herself and her younger partner Apriyani Rahayu. 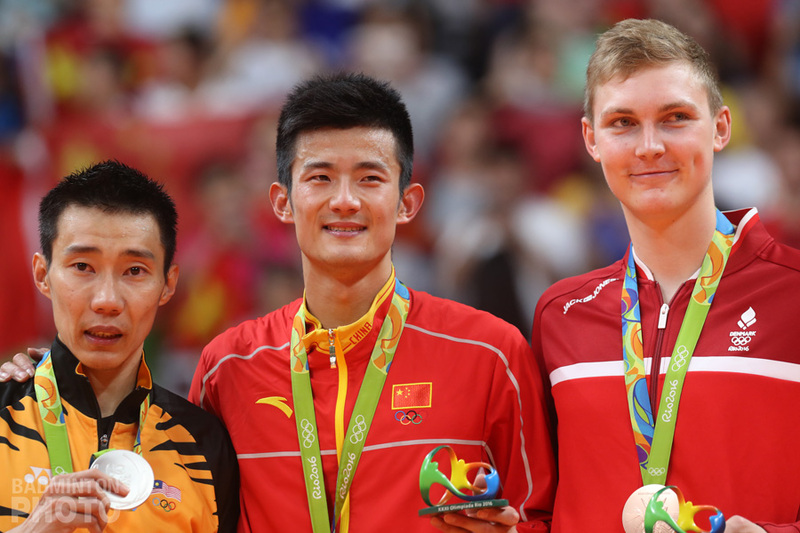 Right after, it was the turn of the legendary duo Tontowi Ahmad and Liliyana Natsir to get a repeat of the last World Championship final, against China’s Zheng Siwei and Chen Qingchen. While many expected a reverse of the score, the Indonesians shut all the doors and declared again they were the best in the category. Flawless in every department, they gave the Chinese some difficult exercises to solve, leaving them with no choices but to let it go, with a straight game win for the Indonesians. “Our key today was to play calmly, relax and enjoy the match. Not thinking much about the win but mostly enjoying ourselves on court is the most important,” said Tontowi Ahmad after his match. Last but not least, India’s Srikanth Kidambi (photo) reassured he was in an Olympic form, grabbing his second title in two weeks and his fourth of the year. The twenty-four year-old player showed all the sign of a great champion. Playing with divine calm and stressless, he therefore felt not much opposition from Japan’s Kenta Nishimoto, playing here his first ever Superseries final. Being the underdog didn’t bring much help to the Japanese as he recognised easily that Srikanth was a step much higher than he was today. 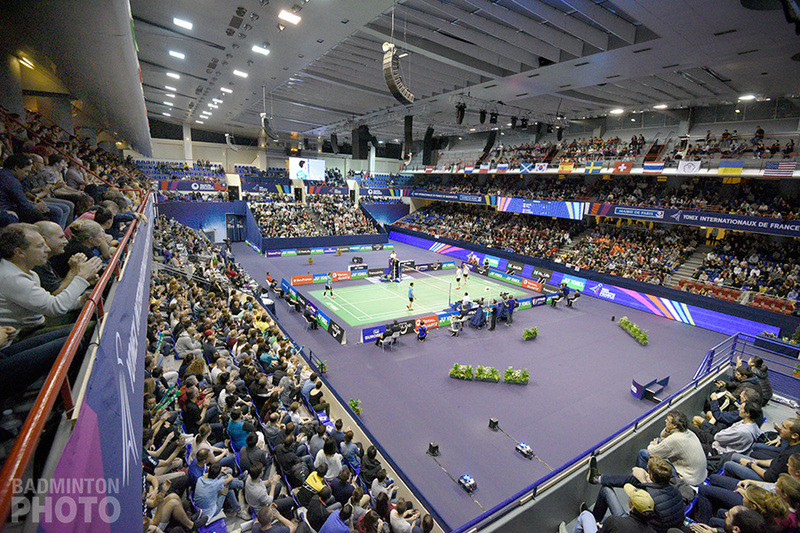 It took only thirty-five minutes for the Indian to conclude the encounter 21-14, 21-13, giving a promising preview of his form for the remaining legs of the Superseries circuit. “I am happy with my play over the last couple of weeks, despite some difficult matches where I got a bit luck. 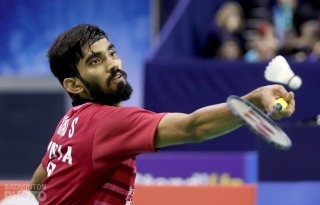 Nishimoto played really well this week, he beat Lee Chong Wei and then Anders Antonsen, who beat Chen Long, so I really expected a tough match so I am very satisfied with the way I played,” concluded Srikanth with his usual down-to earth-temper. Sunday also saw the last ever match on a chair from French umpire Wolfgang Lund (photo), one of the most respected officials on the circuit. 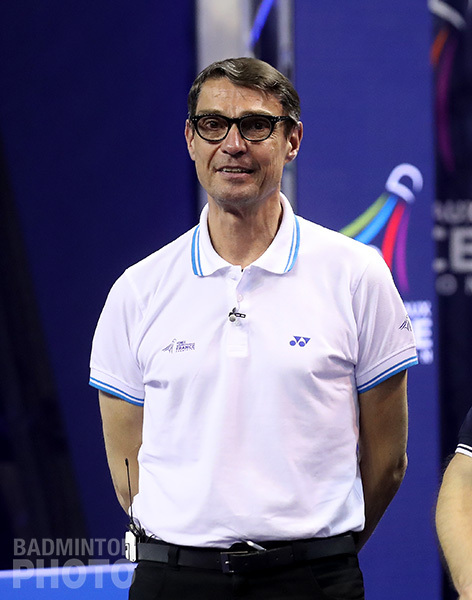 Wolfgang sat on the chair one last time for the men’s doubles – Sunday’s last match. He had been in the limelight in the 2012 Olympics as he was the one who umpired the “in-famous” women’s doubles match between Korea and Indonesia in London, resulting with the disqualification of all four players.